And YOU get to choose the other 6 topics, by selecting your preference on this online poll. Stephen Downes' OLDaily got me onto Laura Braunstein who listed a couple of eBook qualities she would like to see. And I totally agree with her list (in short: interoperability, intertextuality, sharing, device neutrality, curating). This is a great list and to be honest, I am looking at ways to publish an eBook syllabus (makes more sense then a fixed written book in this day and age, doesn't it). The only problem is, that it is still a challenge to integrate multimedia in an eBook (or at least, I still find it challenging). So I was looking at a way to get an eBook - preferably an ePub - published, with integrated movies, audio and the more classic stuff (hyperlinks, pictures) and ... I can use any help you might have... here is the road I traveled so far. What I am looking for is a complete eBook or ePub tool, that allows me to integrate multimedia and produce a cross-platform, interactive publication. So, I started to sift through what is out there. Lulu publishing: they do offer an eBook solution, but currently without multimedia support so... not worth the time investment. ePubBud.com is another self-publishing option, but then again, I do not find any multimedia integration here either, so I could just as well use google docs. Smashwords is another independent eBook publishing option. No multimedia here either (if I am overlooking it, feel free to tell me). The thing is, if multimedia integration is not possible, I can just as easily use a pdf, google doc, or even a Word file as a book and just fill it with anchors and hyperlinks + pictures. Make sure to read the AMAZINGLY wonderful Liz Castro with a post on cheap Word into ePub conversion. In the meanwhile I just want a book that gets me there, inside the text, guided by the text or media. It cannot be that difficult as the internet is doing it already anyway? Then there is idpf.org the international digital publishing forum. They have an immediate link to ePub3 and the open codes related to that. Great stuff, yet ... again time is limited for me at the moment. But if this is a priority, you can find a great set of resources here. Or there is the Wysiwyg Google option called Sigil. But here again I do not seem to see video integration. And there is of course iBooks 2 which does enable video integration in eBooks but also 3D models etcetera, but what I am looking for is a cross platform solution. Luckily, I came across ePubInClassroom (which features a nice overview of ePub options) and that was where I found a link to Calibre, which has indeed video integration (hooray!). BUT, the video is not mentioned. Now, I found a thread in mobile read which covers embedding video in Calibre but ... not getting anywhere with that at the moment. If anyone knows a cheap and easy way, feel free to share! Or must I really get InDesign CS5? Or should I provide a complete folder that can be downloaded so a local website can be unfolded with links to movies? ... as you see my mind moves all over the place, so feel free to point me in the right direction. That being said... my list of to do things keeps on growing during my sabbatical: getting gRSShopper up and running for publishing a newsletter, finishing a mLearning syllabus, finishing full proposal, rewriting two book chapters, organizing a free, open course on mLearning ... so maybe I should just keep my mind on a more static syllabus and not add an ePub to my list .... But then again, where is the fun of that? As I am looking around for PhD places (if you know of a call that would be open to a proposal on open learning via mobile devices, feel free to let me know), I realized that doing a PhD on my own is simply no longer logical in this new networked world. The least I could do is hook up with other researchers to start what could be called a collaborative mega-PhD. This idea makes sense, as no one subject can be viewed from one perspective alone. And education touches so many other fields: neuroscience (connections in the brain made during learning), cognitive psychology (when are we willing to engage to build new knowledge), technology (how can technology fit natural human learning with the least interference – maximizing learning affordances), pedagogy (how can learning be optimized via a model that fits natural human learning)… When linking all of these up, we would be able to better understand the fact of learning, and how it can be improved via different fields. This cross-pollination will not only result in a more profound, all-round grounded set of research facts, but it will probably also be stronger, as the network of researchers working on it can strengthen each other by exchanging ideas popping up in their research. This mega PhD idea also has another advantage. In many cases PhD’s result in so much data, that one person alone will have a difficult time analyzing it. So if a collaboration of PhD’rs would work on a similar case study to research hypothesis in their field, it will allow them to come to a common drill down of the generated data. There is only one downside: working as a team can be difficult at times. So the human group factor is something to take into account. Nevertheless I would be up for it. In a previous post I linked to a presentation by John Traxler, focusing on the discrepancy between current mLearning projects constructed by the mLearning research community that are often lacking rigorous evaluation and sustainable options, and the mobile corporate world pushing for scalable, sustainable mobile projects that are based on pragmatic, transparent facts. The video below is provided by the University of Kwazulu-Natal, the recording can be downloaded from their seminar website here. The video you see here is the low bandwidth version, but on their site you will find a high resolution version (which works great on a television set as well). John highlights the lack of mLearning pilots being evaluated in full, and the lack of reports on mLearning projects that did not reach the goals they were build for. For - as he points out - full reporting of mLearning endeavors will allow all of us (academics, corporations, ict4d community...) to really engage in meaningful education through mobile devices (if such is possible), all the while allowing both local (not localized) and really contextual pedagogies (based on pedagogies that are meaningful within the culture in which education will take place) to be developed, leading towards meaningful education through the use of mobile devices (or any ubiquitous technologies). All through his talk he links to the philosophical undertow of technological beliefs that have and are coloring our contemporary development in mobile learning, and as such risk being at the core of what is and is not working with target populations that are not fully understood. For - as John mentions - if you go in as a technologist, any project will be evaluated based on technology, while if you are an educationalist, chances are all results of a project will be linked to education... and so on. What we need is an interdisciplinary understanding of how learning works, how it differentiates between cultures/regions/groups... and if how these differences can give rise to educational solutions that are sustainable, scalable yet at the same time can be adjusted to local needs and pedagogies. Well, not sure if my brief transcript is clear, but the presentation surely works inspirational. The eLearning Guild always brings together eLearning people from a variety of backgrounds. This makes the Guild an interesting organization to stay updated on all things related to eLearning. 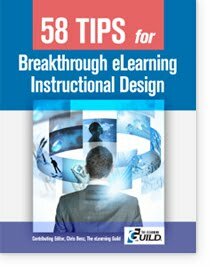 Chris Benz from the eLearning Guild just released a free online book that comprizes 58 tips on eLearning. The free eBook covers tips running from research, design, over development and management. You can download it here (before the download, you do need to give some information). It is an easy read and ... it prepares anyone who is interested in the upcoming online webinars on Advanced Instructional Design. These webinars are planned on 17 and 18 May 2012. How can you take your instructional-design skills and techniques to the next level? What are some of the newest innovations in instructional design? What does the research tell us about which design techniques really work and which ones don’t? If you want to design increasingly compelling online learning experiences, or just need some fresh ideas, this Online Forum is for you. 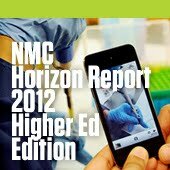 In 2011 the first MobiMOOC ran from April - May 2011. Now it is time for the second course, feel free to put it in your agenda! This is the first mail to get the word of mouth going. MobiMOOC2012 will only have 4 fixed topics: mLearning introduction, mLearning project planning, mLearning in global contexts and mLearning curriculum implementation, the 6 other subjects will be chosen by YOU. Course name and description: MobiMOOC is a Massive, Open Online Course (MOOC) with a focus on learning with mobile devices (mLearning). The course will look at specific fields where mobile devices can be used and are used to increase learning and training. As the course is a MOOC, the main interaction will be provided by the participants, but guides on the side will be provided for each specific topic (guides on the side = facilitators but who do not preach, yet provide options and insights and learn from all the other participants as well – just like any wonderful expert would do). Course start: Saturday 8 September 2012. Course subjects: 4 fixed subjects, 6 topics chosen by all of you. You can choose your preference(s) here. Feel free to choose more than one as the top 6 topics will be part of MobiMOOC2012. Course fee: the course is free for anyone to join and interact. A MOOC is a course which is open to all interested people, which is located in the Cloud (online) and where the learning interactions are wide open to all participants (viewable for those who participate and those who just want to read up on a subject). In this case it is a MobiMOOC, a course with focusing on mobile learning topics. How are the topics chosen and then picked up? 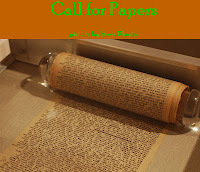 A list of possible subjects are provided and until the end of May anyone can vote on which subject they would like to see covered during MobiMOOC. The top 6 topics will be picked up as being part of the course and subject matter experts will be asked to guide the MobiMOOC participants through that specific topic. Can’t wait to choose your favorite mLearning topics? Get over here and choose your favorites! 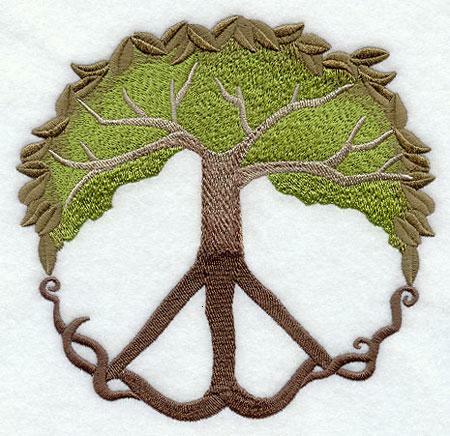 A tree architecture is a course format that provides 1 topic in the first week, three in the second and more (six) in the third or later weeks. A bit like the branches of a tree, where there is a central stem (= mLearning) and different branches emerge into thinner, more specialized topics. The idea of the name came to me because I truly belief in the tree of life peace symbol. And I hope that open education and critical thinking will move all of us towards a more humane, peaceful world. When will the 6 other topics be known: by June 2012 the topics will be known, but depending on the quest for guides on the side, the facilitator names might be known a bit later. Will there be a syllabus? A short syllabus will be provided online, but if all goes well, a more in-depth syllabus will also be provided (more news on this later). Choose the topics now! Via this form. Looking forward to your choices! And I will share the resources and spaces of MobiMOOC as I prepare them. Project Glass from Google research starts out as a personal assistant type of technology. But ... even in the short 2:30 minute YouTube movie you can see how it could be used for future learning purposes as well. It definitely adds to the mobile learning options as well and most of all, that would result in only having to use one - 1 - tool, a thing that sits on my nose daily anyway, my glasses. Just imagine, combining these glasses with augmented reality and gesture-based learning (keep on top of new innovations at the Kinect education site)! For real! I would definitely travel to Rome and walk around all the sites, learning and viewing ancient Roman traditions, crafts, historical reenactments ... Everything is there: the Roman itineraries have been laid out (http://omnesviae.org/), there are 3D walks through the city of Rome and its architectural glory (http://earth.google.com/rome/) and add simulated mobile reality (http://www.youtube.com/watch?v=NliEGCnlSwM) to this and ... you have got a whole different immersive learning package! The only thing I want to know is ... how to turn it off and stay off until I want my glasses to start providing me information and interaction again. Too much media overload never works for me, but when I like it or need it, it is simply wonderful! It would enable anyone to tap into the stream of information on the Web and ... create knowledge on the go. Online learning is happening all around the globe, so why not connect to all the different continents and get a local feel while you are there. Process: double blind review and Conference Proceedings published by the IEEE Computer Society and maintained in the IEEE Digital Library. How do they describe the event: HICSS-46 offers a unique, highly interactive and professionally challenging environment that attendees find "very helpful -- lots of different perspectives and ideas as a result of discussion." HICSS sessions are comprised primarily of refereed paper presentations; the conference does not host vendor presentations. The conference operation is funded entirely by registration fees; therefore, HICSS is not able to subsidize registrations or offer reduced fees, nor partial registration. All participants and speakers (or their organizations) are expected to bear the cost of their expenses and registration. HICSS-46 contains the following tracks, or areas of research concentration. A paper may be submitted to any minitrack in one of these tracks, but not to more than one minitrack. How do they describe the event: With over 300 workshops to select from, and world renowned keynotes and spotlights to see, hear, and work with—Don’t miss out! This will be the biggest teaching and learning conference to hit Auckland in 2012. Over 1600 people were at ULearn, at Rotorua, in October last year. It was an event, which, again, received rave reviews for the quality of its programme and its organisation. This is the perfect opportunity to provide quality professional development for your staff. Educational Technology and Management Academy (ETMA) announces the International Conference on ICT Culture in Education (ICTCE2012) with the key objective to promote a healthy discourse on the full potential and extent of an ICT integrated education system. 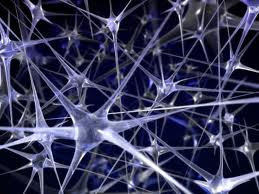 Education system is still to exploit the full potential of ICT for optimizing human learning. ICT culture in education cannot be achieved either by government or the private sector independently. It needs a collective effort of government and civil society. ETMA, has carved out a niche in the country for pioneering innovations, especially in the field of quality in education. Based on ETMA’s research and discussions, it is time to launch the next generation advocacy for ICT Culture in Education- an ICT Culture that will ensure complete integration of ICT in every aspect of educational processes, rather than ‘hanging as a piece of decoration’ in the educational institutions. If you have not read it yet, this report on the latest The NMC Horizon Report > 2012 Higher Education Edition is a collaborative effort between the NMC and the EDUCAUSE Learning Initiative (ELI), an EDUCAUSE Program. The nice thing about this 42 page publication is that it looks at probable implementation of new and upcoming learning technologies (games, augmented reality, gesture based computing...). To get this free publication you do have to register for an account, but it is worth it! You will also be able to keep updated on future publications, and more excitingly to give your feedback on upcoming drafts. How cool is that? !